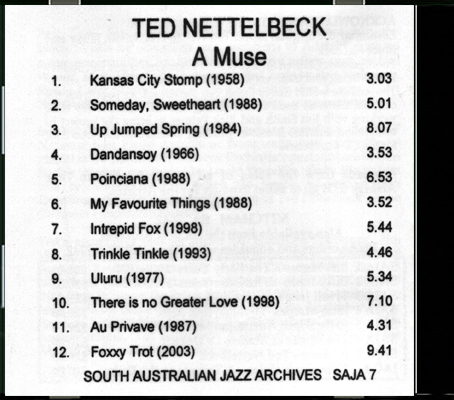 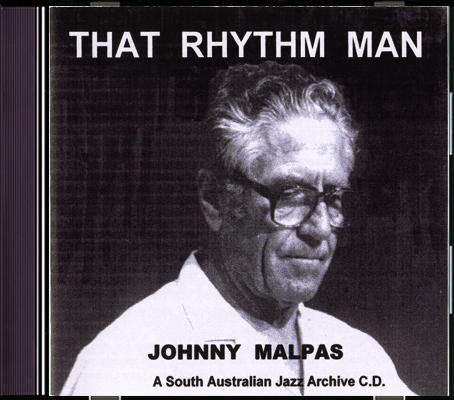 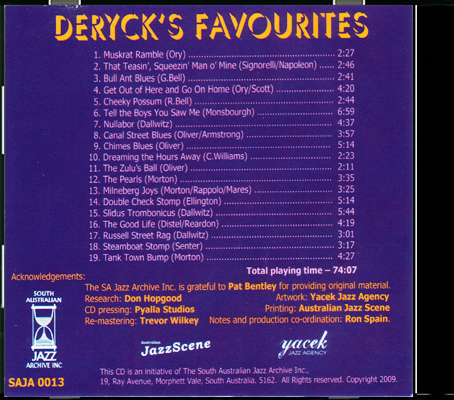 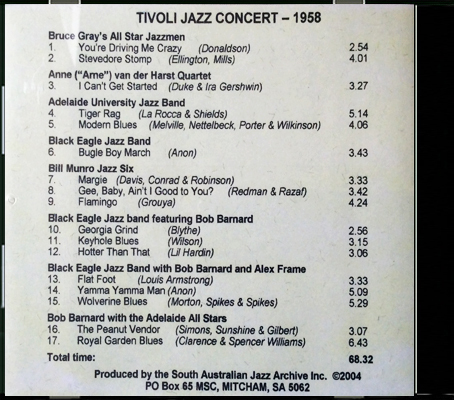 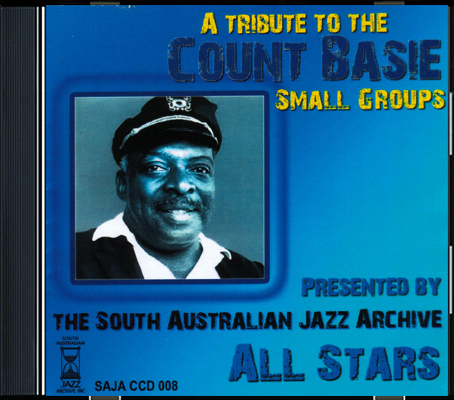 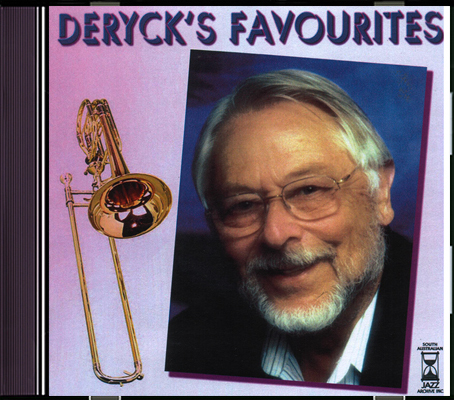 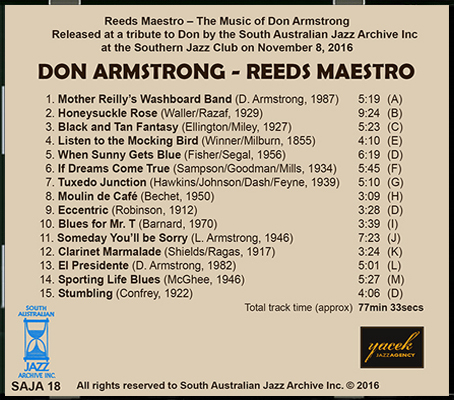 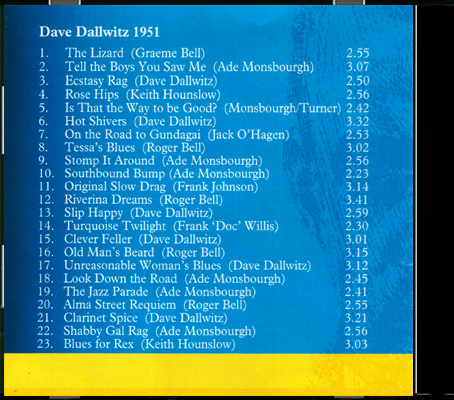 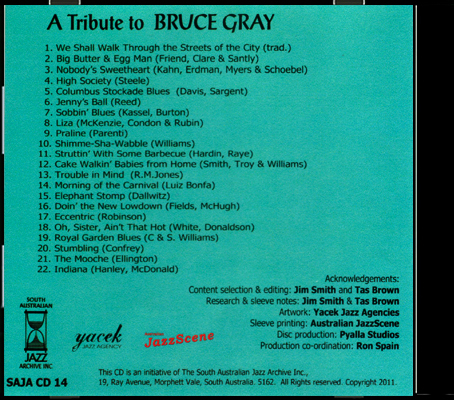 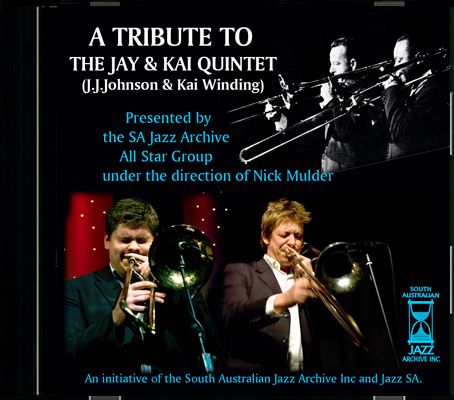 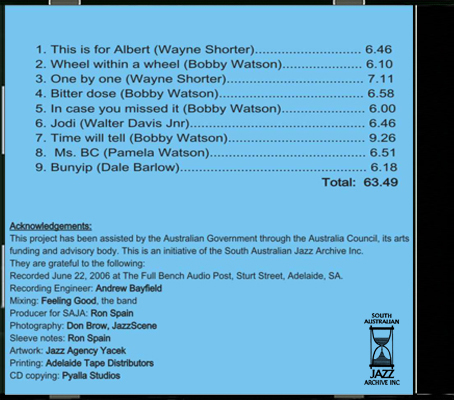 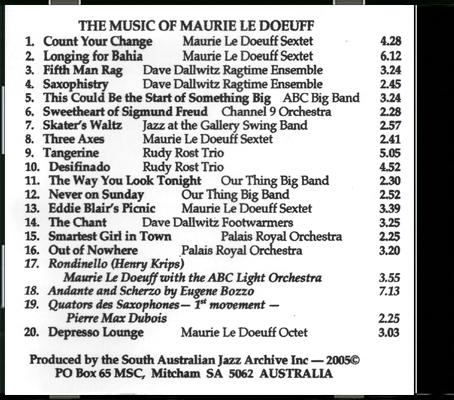 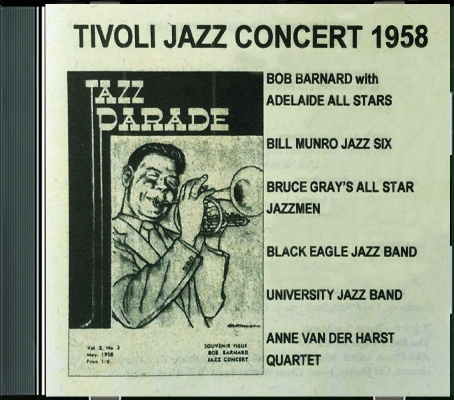 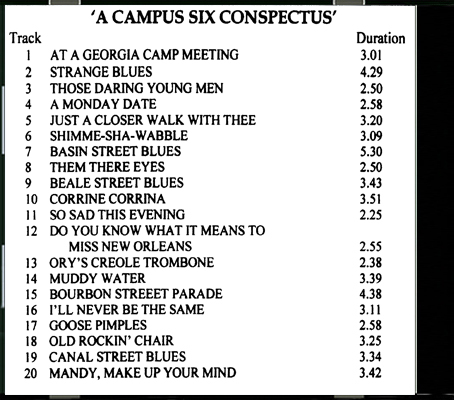 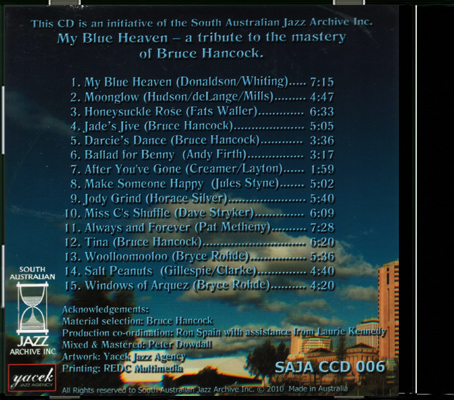 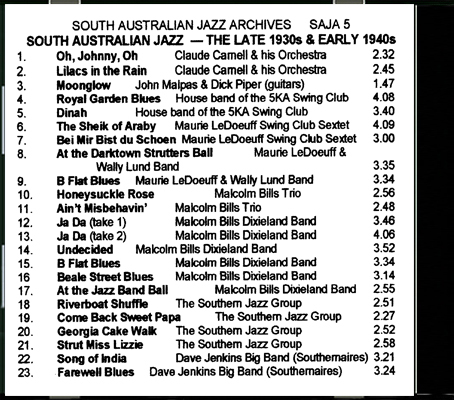 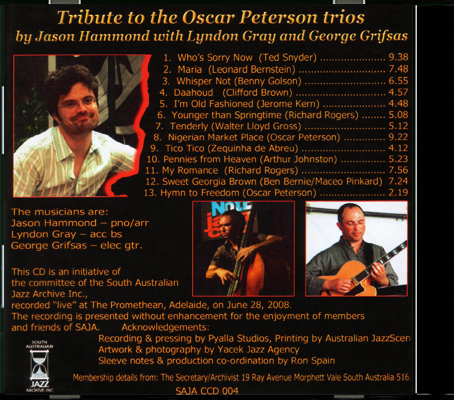 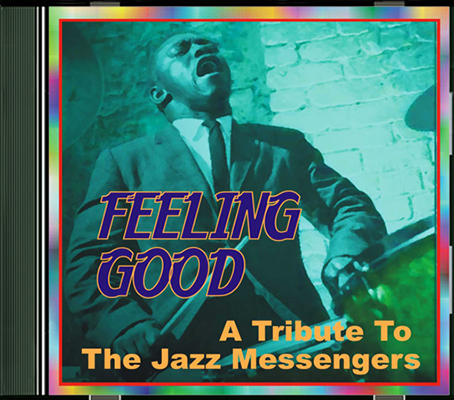 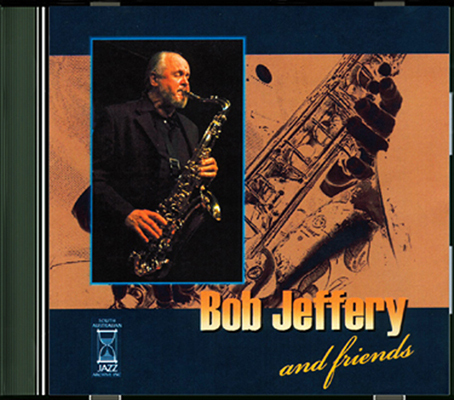 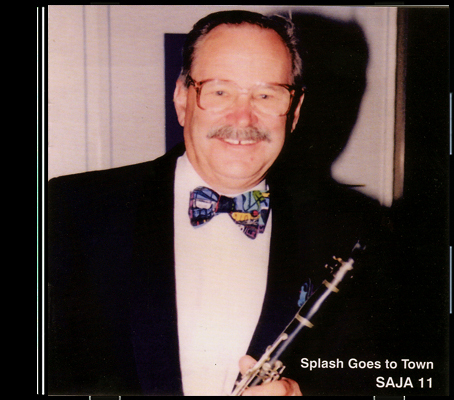 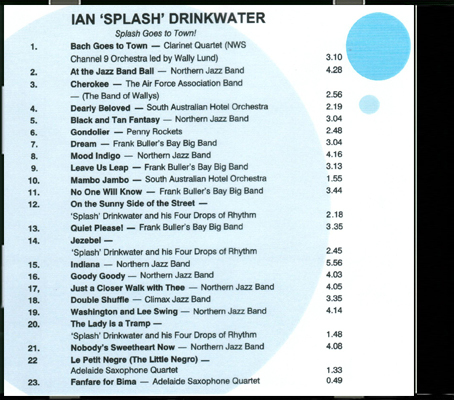 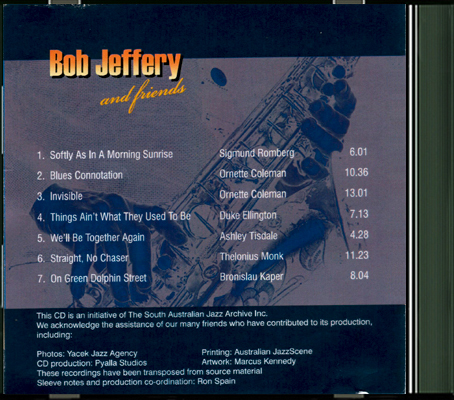 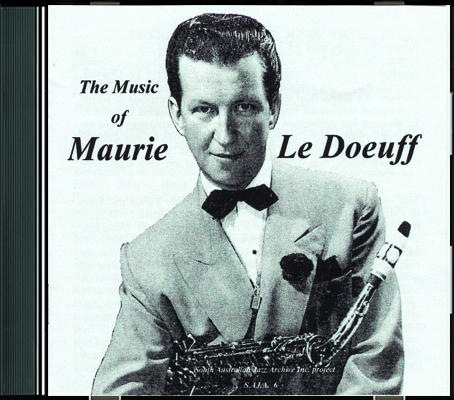 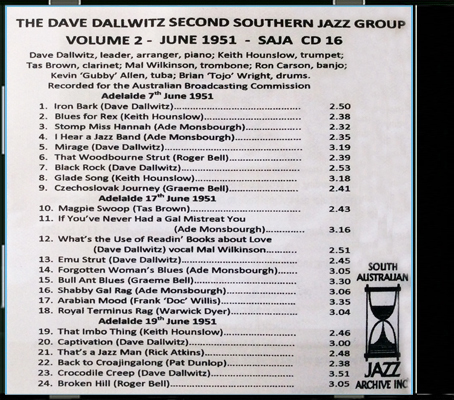 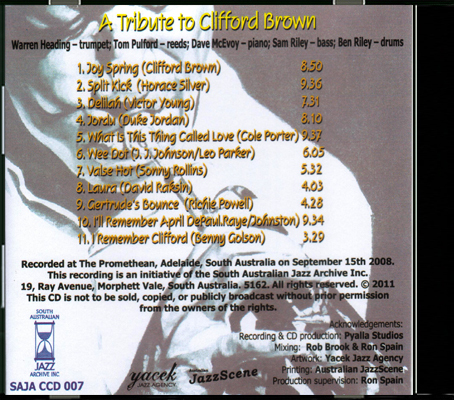 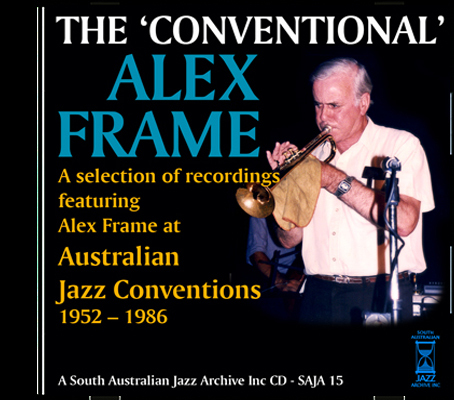 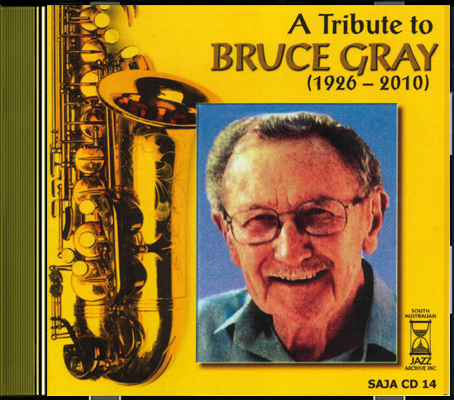 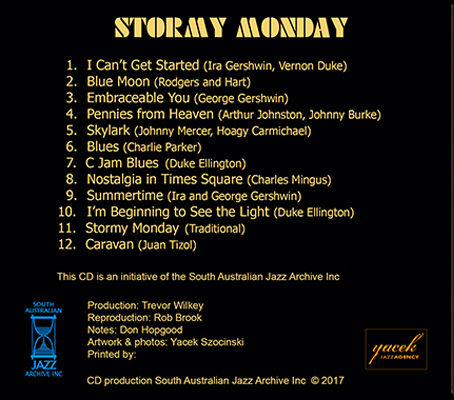 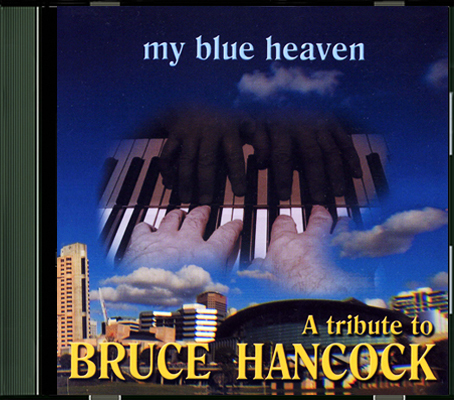 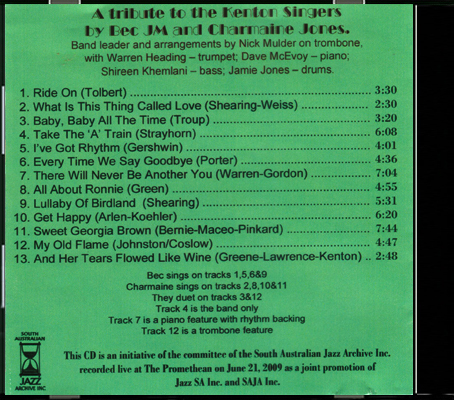 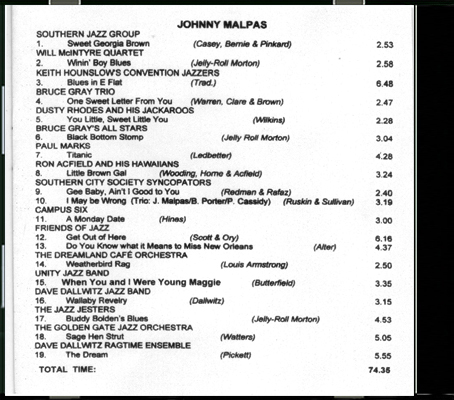 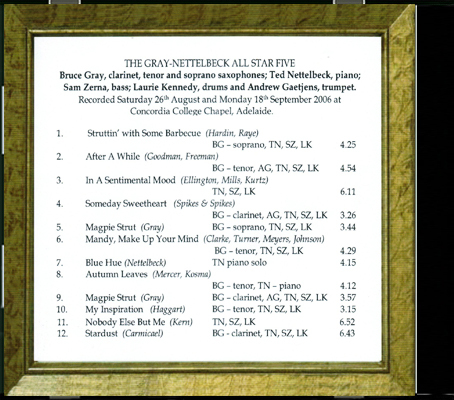 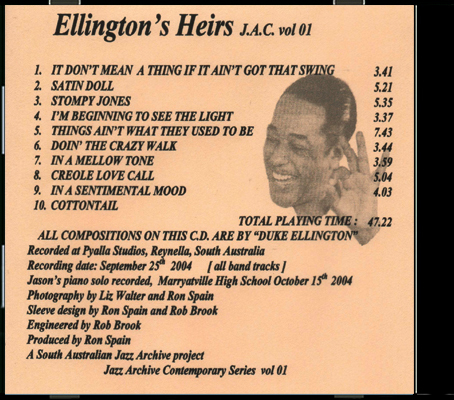 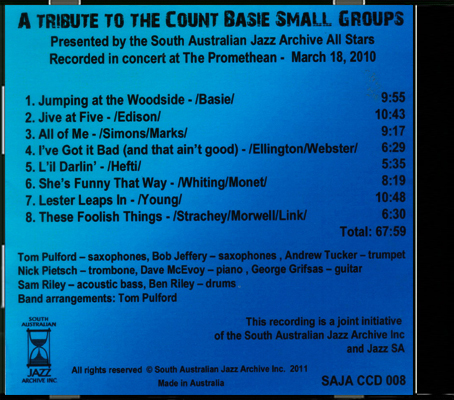 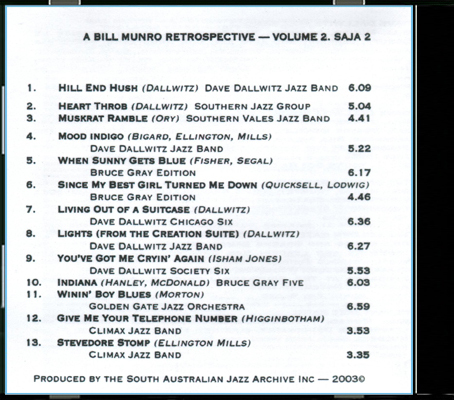 Below is the Archive’s exclusive CD range of South Australian Jazz. 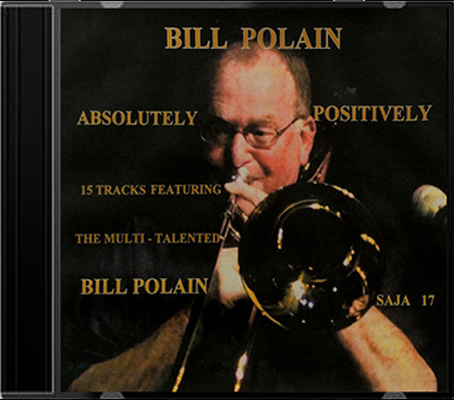 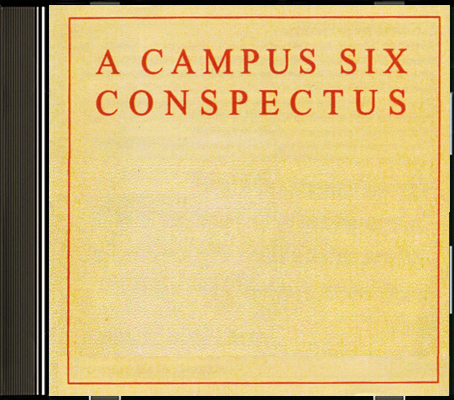 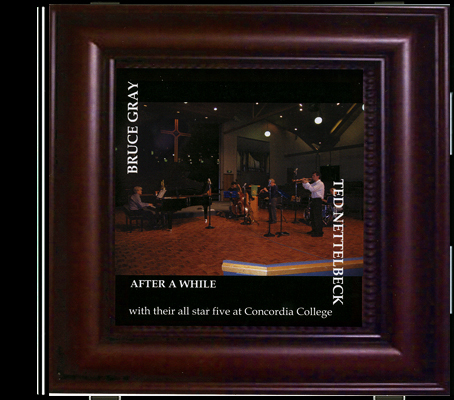 All CDs are available to purchase. 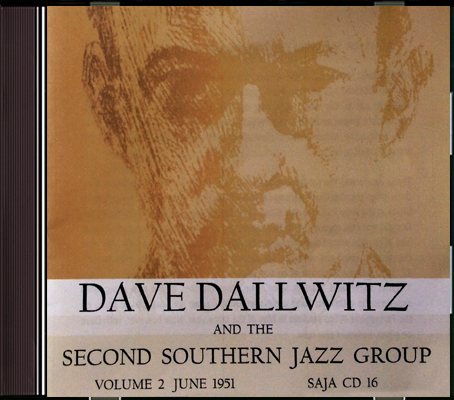 VINTAGE series and CONTEMPORARY series.   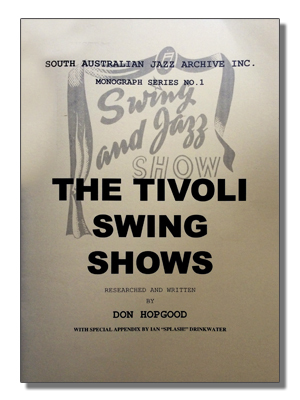 Please note Archive members receive 10% discount. 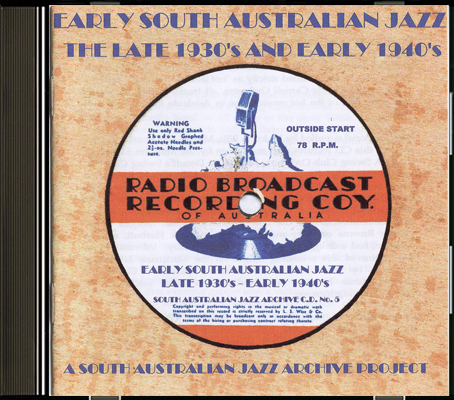 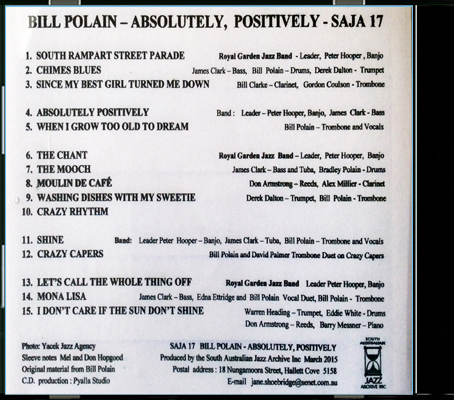 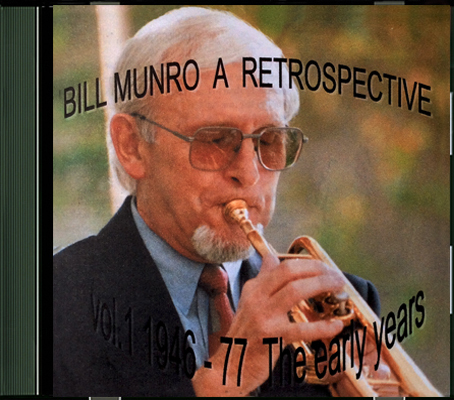 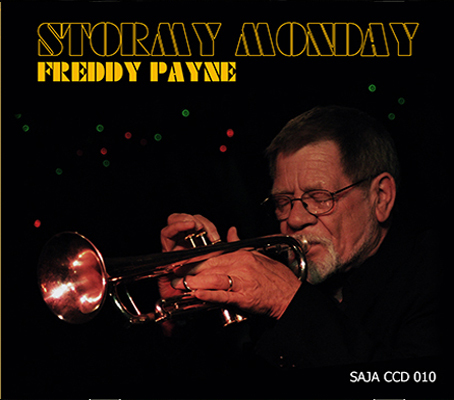 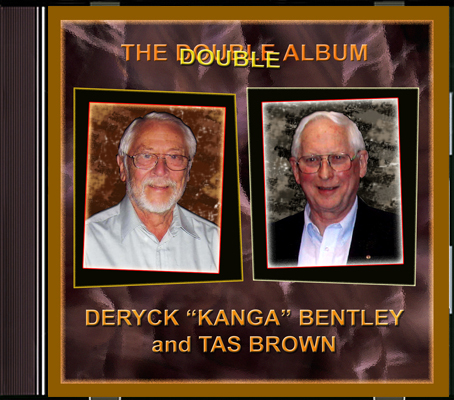 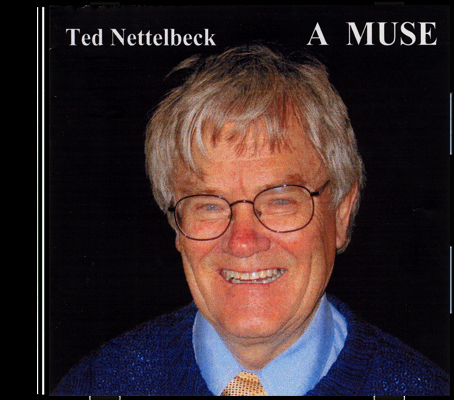 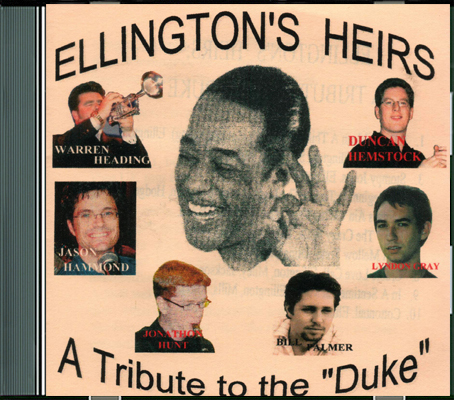 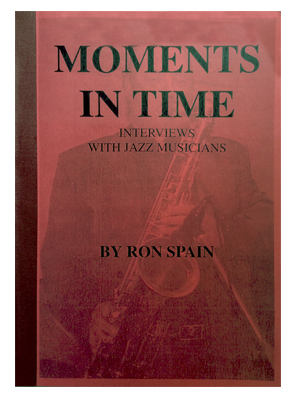 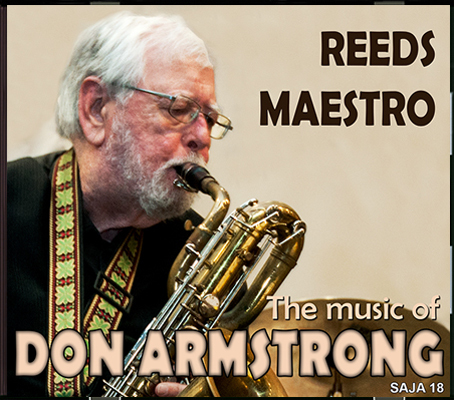 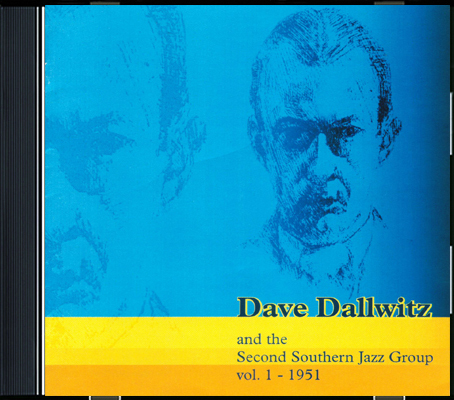 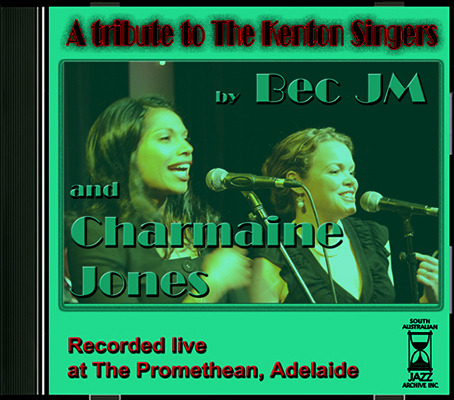 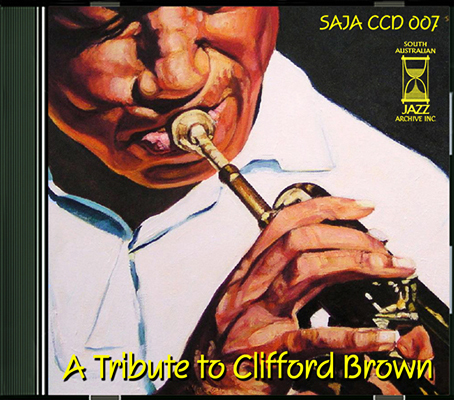 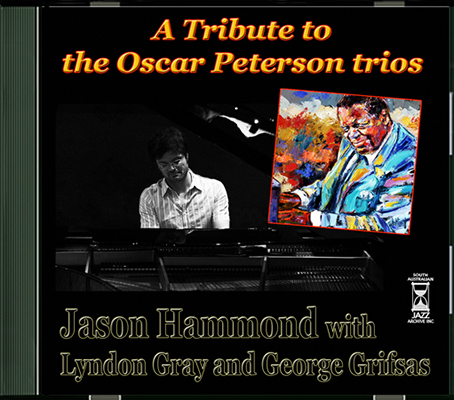 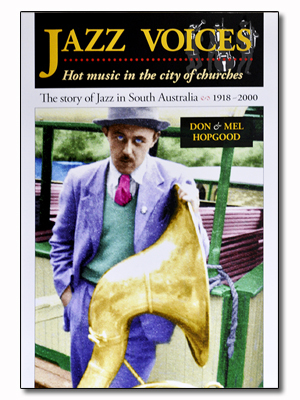 Now for sale through the South Australian Jazz Archive - at the Southern Jazz Club - or from the authors. 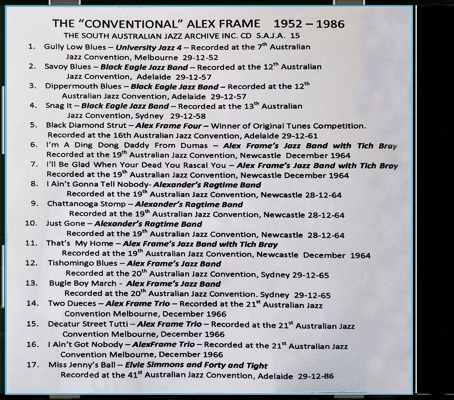 Retail cost AU $35.- with discount to Archive members. 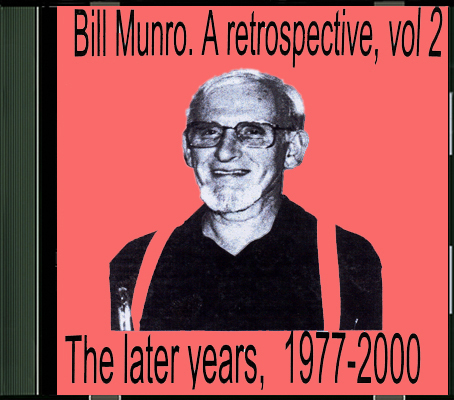 Lots of text, lots of photos. 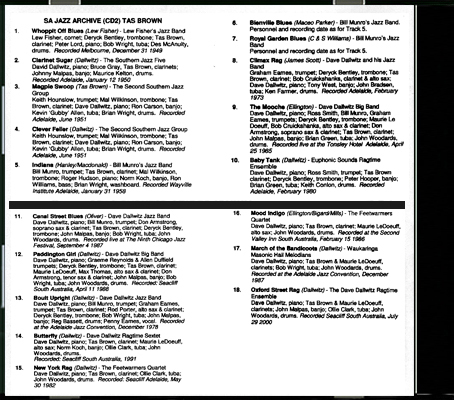 You may be included. 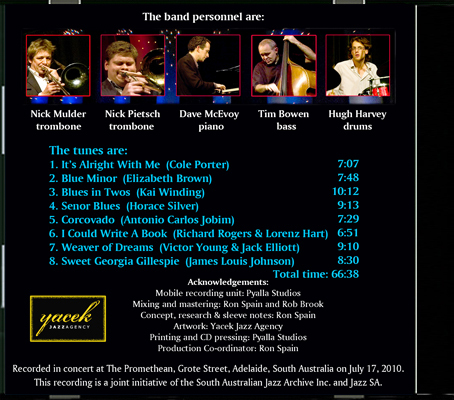 Now for sale through the South Australian Jazz Archive - at the Southern Jazz Club - or from the authors. 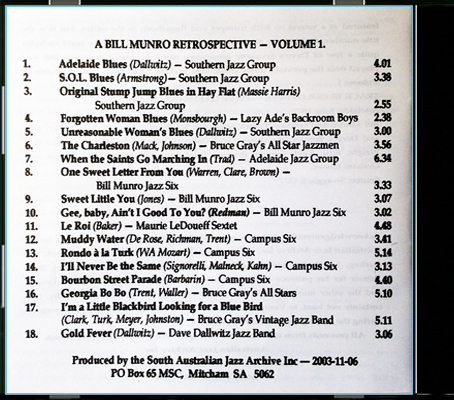 Retail cost AU $25.- with discount to Archive members.